High quality white and gold enamel variant of our classic Lady Macbeth pin. 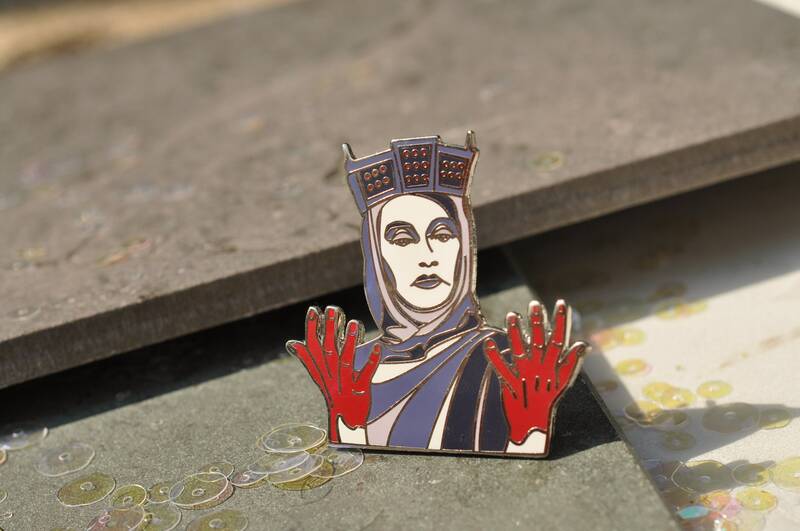 High quality hard enamel pin depicting Lady Macbeth, the regicidal maniac of Shakespeare's Scottish Play! This oft-misunderstood royal is ambitious, somnambulant, and forever trying to get out that damn spot. Let her into your collection. 1.5"x.75" hard enamel pin with 2-post rubber backings.